Labels are the key to making products and gifts stand out. First impressions count and new brands packaged with passion are making an impact around the world. Here are 5 things to consider to get the key elements right. What’s going to appeal to the people who will use your product or receive your gift? If you’re building a brand, you can use colour to help get your product noticed. It goes without saying that bright colours make an impact. But so can clever designs and colour contrasts. First, think about whether you want the label’s colour to stand out against the product or packaging you’ll be using it on. Then consider the contrast between your label and the colours of the text or image going on it so that they show up and don’t blend in. If you’re labelling a product for display, a shopper will see your product in a totally different way. They will not be looking at it on it’s own and you only have seconds to get their attention and convey what your product is for and who's behind it. This is why it’s best to use a clear typeface that’s easy to read at the distance the shopper is likely to view it from. Don’t use any more words than are absolutely necessary when labelling the front of a product. Details can go on the back in smaller type. Shelves are usually arranged in rows and columns, which means product labels create patterns. What pattern will your labels create? This pattern influences the distinctiveness and appeal of your product, and is known as ‘shelf impact’. It can make a big difference to product sales. This might sound obvious, but when choosing the shape and size of your labels, keep the container, packaging and product in mind. Your labels need to be the right size for the container or packaging to make sure they look professional. 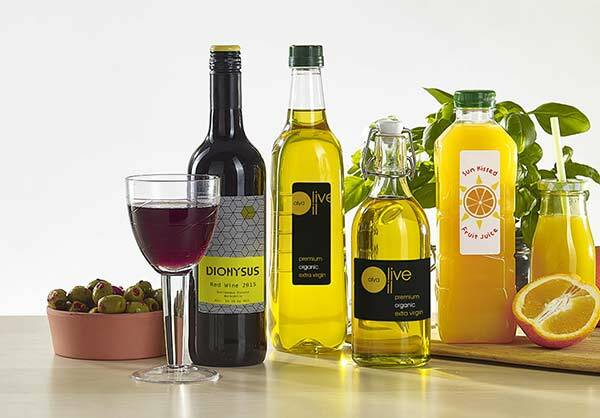 If you have a range of products or gifts, or if you’re likely to develop more products in the future, you may need a label design that brings them all together. So you’ll need to think of a way of making labels for different items look like they belong together. Look at a few designs, print them out and compare them. Then get friends and family involved and ask them which they think is the most compelling. Be prepared to go with the most popular if it’s not the one you like best! The quality of your labels and the way they’re printed will reflect on the quality of your goods, gifts or services. A good design will only work for you if the label itself looks and feels like professional quality. If someone picks up your product to take a closer look, they need to see and feel that special finish. Now it's time for you to create your labels!